Karl Hyde and Brian Eno have released their second single, "Daddy's Car," from their upcoming release, Someday World, out May 6th on Warp Records. The track is more joyful than the previously released "The Satellites," which has a melancholy feel with its synthetic horns and MIDI drumbeat. "Daddy's Car" recalls Eno's album Before and After Science with an upbeat piano loop and horn riff. It begins with a chaotic salsa drum beat and explodes with synth layers and a backing vocal track provided by Eno and Marianna Champion (wife of Coldplay drummer Will Champion). Stream it above. 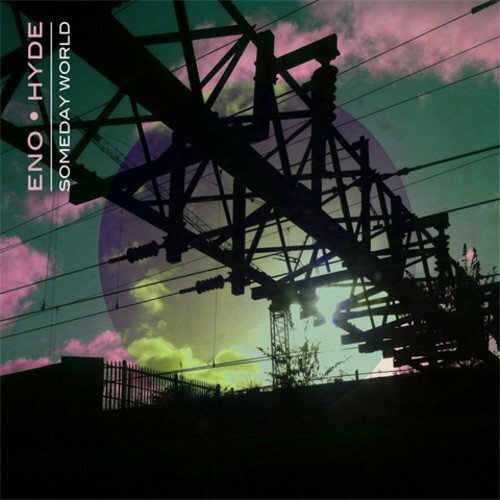 To preorder Someday World, head over to Eno • Hyde's official website, and check out Brian Eno's Zumic artist page.